Nature is an amazing teacher. Intuitive guidance comes in many forms. Are you ready to receive the answers to your deepest questions? 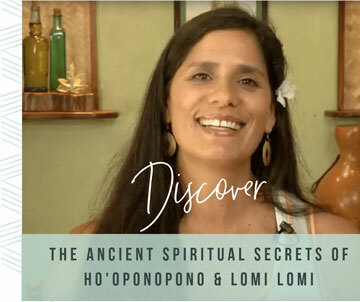 In Hawaiian culture, we call the umbilical cord and placenta, the Tree of Life – Piko. When a child is born, we give the Piko, back to the earth. In that precious spot, we plant a tree. As it grows, the tree has different meaning or significance. As parent, we watch the tree in order to gain insight into the child. For the child, it is place of refuge. It’s a place where they can go to have some sacred time and also receive wisdom and guidance. When my children were born, I placed their piko into the earth and planted a tree over the area. My oldest son, Kala’s tree was Kukui. This was perfect, because his name means the sun, or the light. Kukui also signifies the light of knowledge. We planted that tree in ceremony with the family here and we watched it grow. Over time, I would look out to the tree to see how it was doing. It was growing and thriving. Then, when Kala was around eight years old, his father’s family in Idaho, asked if Kala could come to the mainland and visit them for six weeks. He is my first born. I felt like he was too young. I was reluctant. I procrastinated. I pushed off the decision as long as I could. One day as the requested dates for his journey were approaching, I went to the yard to clear my mind and get some fresh perspective. When I stood at Kala’s piko tree, I noticed the very first two fruits of the kukui were growing. I returned to the house and I pulled my deck of mana cards, which are a beautiful set of cards that I would absolutely recommend. They have a lot of wisdom and beautiful illustration. I shuffled the deck and with intention around my son, and pulled the card called pua. Pua means flower. Pua is the blossoming of the flower. Pua is also known to refer to a child. The song was “Mai ka pua”. Come child. You come to me. To the earth. To the day. To the light. I chanted the whole time. When I selected that card Pua, the child, but yet a youthful warrior, I read the description on the mana card. It spoke of rights of passage. It spoke of the blossoming of the flower. In that moment, I knew it was time to let him go. That trip to became a pivotal moment in Kala’s life. He was able to explore outside of the islands on ten acres of forest land in Idaho. He saw a bald eagle, fed hummingbirds, encounter deer and even moose. To this day, he has this really amazing connection with the land and his family there. Memories that are invaluable for his young, inquisitive mind. It was a time of independence and stepping out on his own. It would have been around that same age that in ancient times, boys would enact a ceremony or ritual to leave his mother and go to the hale moa – the men’s house to begin his training as a warrior. There would have been a ceremony where his mother would have to let him go. He would join the men and be raised under their guidance in the men’s house. For Kala, traveling to my husband’s family was an opportunity for him to expand. A coming of age ceremony. The practice of the piko tree is a wonderful way to receive guidance and insight into a child. It is an opportunity to allow the elements in nature to be a guide to bring clarity as the child grows. Our word for tree is kumula’au. Kumu is teacher. Kumu is source. There are all kinds of messages that are gifted in nature. Creator and the kupuna – ancestors, send us information on a regular basis if we know how to listen. Are you facing a challenge? Do you have a burning question or an important decision to make? Get outside and ask for guidance! Open yourself to receiving intuitive guidance in many forms. Have you received a message from nature? I’d love to hear about it in the comments below.